How Long Will it Take for My Rescue Dog to Adjust? You’ve made the leap, fallen in love, and now you have a new rescue dog. What should you do now? What if you encounter problems? Rescue dogs may experience obstacles that puppies bought from a breeder won’t have, but overcoming these obstacles together can build a strong bond between you and your new dog. Learn about some of the common problems you are likely to encounter with your rescue dog, as well as the best activities to do together to overcome problems and build your bond. Every dog will have a different experience in recovering from the trauma of changing homes. The answer to the question: how long does it take for a rescue dog to adjust? depends entirely on your new dog’s prior experiences. A dog with trauma, neglect, or punitive training in her past may have much more to recover from than a dog that has just changed homes. Your new dog may have a lot of trauma to overcome aside from the stress of adjusting to your home, causing a range of rescue dog behavior problems. If your dog has had prior negative experiences with potty or crate training, or if she has significant problems like resource guarding, she will take longer to adjust. In general, younger dogs may have an easier time than older ones. Some dogs have a robust personality that bounces back quickly from stress, while other dogs take trauma hard and may have a hard time recovering. You don’t have to wait until your dog has overcome all of the issues of her past or fully adjusted to begin doing things together. In fact, you are more likely to help your dog overcome stress and build confidence in herself and you if you begin doing things together relatively early. Once your dog learns that you are someone who can be trusted, the bond between you will grow exponentially. Rescue dogs may have experienced trauma in their past that makes them fearful of all kinds of situations and objects, often without any explanation that you can identify. Even dogs that have had positive, enriching pasts may experience new issues as a result of their rehoming. Your new dog may inexplicably be terrified of paper towel rolls, umbrellas, traffic cones, or her crate or food bowl. Associations between punishment and the objects used to deliver punishment or objects that are related to punishment can be very strong and hard to break. Traumatic early experiences like running into a sliding glass door or slipping on tile can cause dogs to be afraid of all thresholds or shiny floors. Everyday things may cause all kinds of problems for dogs that have never encountered them before. Your new dog may never have heard a vacuum cleaner or blender, or encountered a mailman. If you have a doggy door or glass doors your new dog will need to learn how they work. Old negative training can also make new training more difficult. Your dog may hide potty mistakes, making it more difficult for you to show her the correct place to go. Negative associations with the crate can add a long step of desensitizing to the usual crate training. If your dog seems a bit reluctant to go in the crate, a very comfortable bed might help tempt her. Rescue dog behavior training can take longer than training a puppy, since you have to undo previous negative experiences as well as building positive behavior. Dogs that have often been punished after their owners returned may be fearful when you come home, although you never punish them. A dog that has been struck once with an object may retain a fear of that object for a long time. Punitive training can be extremely damaging and rescue dog anxiety issues can be very deeply rooted and difficult to break. A sense of abandonment can create new anxiety in previously happy dogs. 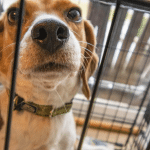 Dogs that have been raised in a happy home all of their life and then surrendered for reasons beyond their control may worry about abandonment every time their new family leaves them alone. This can create problems with separation anxiety, especially at the beginning when the bond is just beginning. Helping your new dog overcome her anxiety and problem behavior to become a happy, well-adjusted member of your family is an extremely rewarding process, but it may take some time. You can speed the process by engaging in training with your dog that builds both your dog’s confidence and your bond with her. You can start working with your dog a few days after you bring her home. To learn the other things you should be doing at the very beginning of your relationship with your new dog, read Lay the Foundation: The First Week with Your Rescue Dog. The first training you do with your new dog is all about building a positive association with you. Start by offering treats whenever your dog approaches or even looks at you. Once your new dog is eagerly taking food from you, say her name and reward her for looking at you or coming. Practice this simple training as often as possible for the first few days, until the sound of your dog’s name gets her attention most of the time. Once your dog is used to looking to you for good things, you can begin basic training. There is a range of positive training methods, and you are likely to find a mix of techniques that work best for different kinds of training. Clicker training is a great place to start with your new rescue dog, especially if you are new to training. You can lure your dog into the desired behavior with a treat and then reward, or name and reward the behavior when it occurs spontaneously. Once your dog has learned a couple of behaviors using clicker training, you can begin teaching your dog to imitate you and/or other dogs. This can be a very fun way for your kids to help train as well. Training will go more quickly and the bond between your family and your new dog will increase exponentially when she understands how to learn by observation. Have your dog watch while you perform a simple action to get a known reward like a favorite toy or treat. A good activity is to turn over a cup or bowl to get a treat underneath. Give the command “you do” after your dog watches and let your dog perform the activity. Vary the activity by hiding the treat in a drawer, under something, etc. When you have practiced for some time, you can test the learning by teaching a new command like “down”. Have your dog watch while your lie down when the command is given, then ask her to do it. It may take a few repetitions, so be patient. If your dog is struggling, go back to demonstrating with puzzle solving. Once you have these two basic training strategies down, you can use them to overcome problem behavior with your dog. Many rescue dogs experience fear and anxiety. Your dog may be afraid of specific objects or situations, or may display inexplicable fear or generalized anxiety with no known cause. If you come home to destruction or terrible crying from your dog when you leave her alone, it is probable that she is suffering from separation anxiety. You can tell your new dog is experiencing fear if she tucks her ears back, licks her lips, tucks her tail, and generally tries to make herself small. Some dogs may also display their front teeth by lifting their lips. Some dogs may act out aggressively when they are experiencing fear. 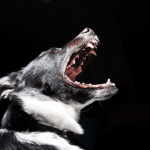 It can be very hard to tell if a dog is likely to act out aggressively or not, so it is best to treat all fear as if it could result in a bite. Some dogs may act aggressively out of other reasons than fear. Unsocialized dogs or dogs that have a history of fighting may react to other dogs with dominance or prey drive. Dogs that have had to guard their food from other dogs or humans may display resource guarding. Regardless of whether your rescue dog is fearful, anxious, aggressive, or all three, the thing to remember is that these are learned reactions that can be unlearned. The natural state of a dog is social and positive. You can reclaim the happy, confident companion in your dog with patient and persistent training. The trick to overcoming general or specific anxiety is constantly staying just below your dog’s anxiety threshold. It is easy to find the threshold. It is the level at which your dog is reacting to the anxiety trigger but will still willingly endure proximity to it for a reward. It is extremely important to protect your dog from crossing her anxiety threshold, since doing so can undo your training and hurt trust. To find your dog’s threshold, move closer and closer to the source of anxiety while offering your dog treats. If your dog’s anxiety is situational, begin with the smallest indications of the situation. Always provide your dog with an “out” so that she can retreat if she feels it necessary. 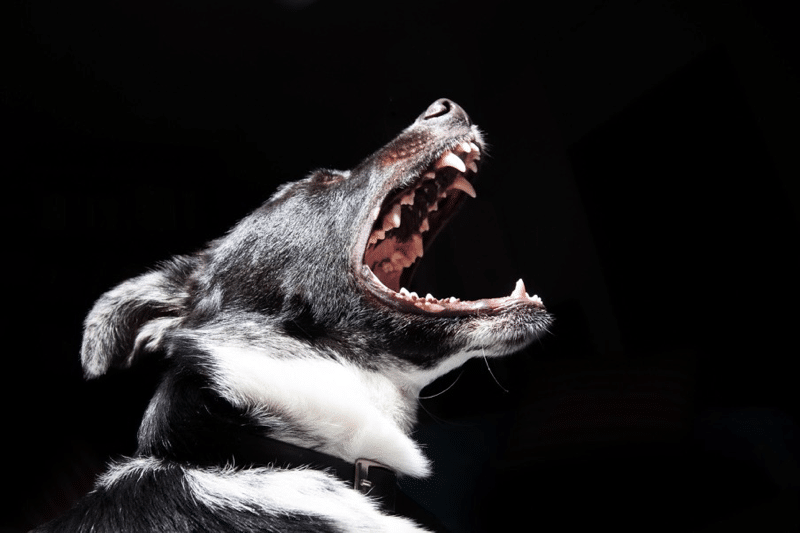 Providing an “out” will prevent a bite if your dog panics. Go slowly, rewarding your dog until she is not reactive anymore at each stage before progressing. Separation anxiety can be a difficult problem to work on, since you are inherently shaping behavior that occurs while you aren’t there. The first step is to work on the behavior that does occur while you are still at home. Most dogs react to cues like gathering your keys or bag, putting on shoes, turning off lights, etc. You can desensitize your dog to these cues by performing a step or a couple steps of the ritual, then giving her a tasty treat or chew. Start with a very small anxiety prompt, like just picking up the keys and putting them down again, then work up to all of the cues as your dog stops reacting. At the same time as you are working on anxiety triggers, desensitize your dog to being separated from you by closing her in a room with a chew for brief periods, leaving the house for instants at a time, etc. If your dog is prone to destruction, a chew-proof dog bed may be a good idea, so that you don’t spend a fortune replacing beds during the training period. You can peek in a window or use a nanny came to see how your dog is progressing. This can be a very time-consuming training process. It is a good idea to put your dog in a doggy daycare or have her stay with a friend when you need to leave her alone until training has progressed, as keeping her locked in a crate before she is ready could undo your training. Depending on your dog, aggression can be extremely dangerous. A powerful dog can easily hurt other pets or people. If your rescued dog is displaying significant aggression, especially towards people, and is a powerful dog, you must seriously consider the challenge ahead of you and decide if it is something you are up to or if you should hire a professional trainer or consider rehoming the dog. Aggressive dogs have little chance for successful rehoming, especially if they have already been adopted and returned, but an aggressive dog in the wrong situation can be a timebomb waiting to go off, so make the right decision for your family, no matter how hard it might be. If you have decided to work with your dog on her aggression, safety must be foremost. Muzzle training is essential for any seriously aggressive dog. Dogs can learn to love their muzzles by making muzzle time treat time. Smear the inside of a basket muzzle with peanut butter or doggy cheese spread and let your dog get comfortable with putting her face in it herself before putting it on for brief periods. As your dog becomes more comfortable you can work up to longer periods wearing the muzzle. Professional dogs often wear a muzzle while at work, and your dog can learn to be comfortable in one as well. Carefully consider which muzzle is right for your dog. Once you are confident that you can use a muzzle when you need to, you can begin methodically teaching your dog new ways of behaving. Desensitize your dog to what triggers her aggression in the same way you would for anxiety desensitization, as discussed above. Find her threshold by going closer to the trigger while rewarding with treats, going slowly and waiting for calm focus before moving on. Observational learning can be very effective once your dog is appropriately desensitized. Letting your dog observe while other dogs engage in appropriate social behavior can help her learn social skills as well. The muzzle can allow for safe first interactions as training progresses. Dogs that have had punitive potty training may go to extreme lengths to hide the evidence of mistakes, making training more challenging. Never punish a dog for inappropriate elimination. Rather, when you catch your dog in the act, cheerfully tell her “not there” and take her outside. At the same time, always reward your dog with verbal praise and treats for going potty outside. In this way your dog will learn that there is nothing “bad” about going potty, there is just a “right” place to go. If your dog has an extreme aversion to going potty in front of you, even outside, you can make a show of finding where she went outside and rewarding her when you find it. In this way, you can work to undo the negative association she has learned with a human seeing her eliminate. Many people with a new rescue dog feel like they have to conquer behavioral problems before they can start having fun with their dog. In fact, having fun with your dog can be a great way to build the kinds of bond that makes training successful. Stretch your mind well past a walk as you imagine the possibilities for you and your new dog. Walking with your dog is an essential component to building your bond. Traveling together establishes a connection between you. The more challenging your adventure, the more your dog will learn to trust you to guide her. A walk is an opportunity for your dog to teach you too, as she shows you the way she sees the world through smell and sound. It is essential to have control over your dog on your walk. Punitive training techniques to stop pulling like choke or prong collars can hurt trust between you and your dog, as well as potentially causing negative or aggressive reactions. There are a variety of tools on the market to help you keep control of your dog. Head halters control a dog’s head in the same way a halter controls a horse’s head. This lets you control even a very powerful dog, just as people can control even large horses with a halter. This gentle device won’t cause your dog any discomfort or pain, although she may find the control it gives you irritating and try to pull it off. Slip chest lead harnesses cause your dog to turn when she tries to pull, preventing her from being able to lean in and pull against them. The slip feature tightens the harness when your dog pulls for greater control and to eliminate any danger of your dog slipping out. For a powerful dog that you are unsure of controlling, a Gentle Lead connected to a chest harness is a good solution. For small dogs, a secure body harness with a back connect can hold no matter which way your dog pulls, and won’t damage delicate throats. Choose a snug harness that has a snap clasp with double rungs for the leash to snap to, for double security against a strong pull. Don’t use velcro harnesses for an unpredictable small rescue dog. When it comes to walking with a new dog, the more the better. 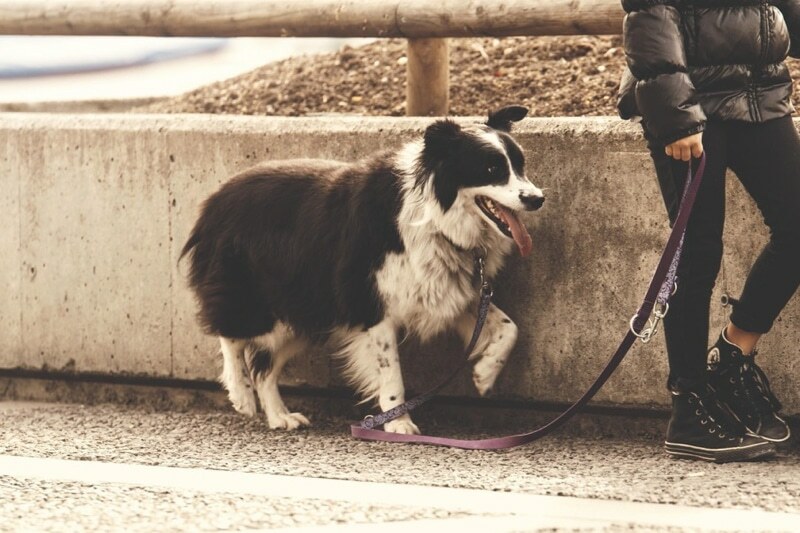 If you feel capable of controlling your new dog at a jog, this can also be valuable. Plenty of walking keeps your new dog exercised and exposed, which builds confidence and reduces anxiety. Keep an eye on your pup’s pads as you increase exercise and use a pad balm and reduce exercise if necessary. Walking on softer surfaces and grass can help prevent paw fatigue for dogs that haven’t been exercised in some time. 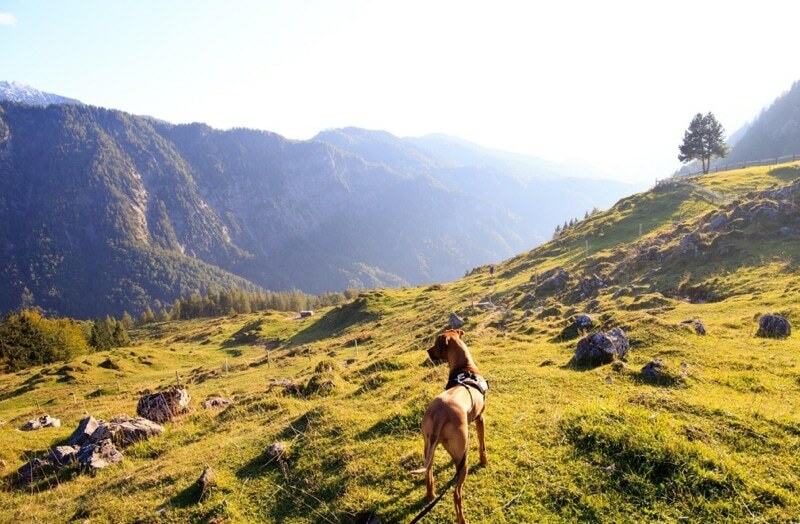 Challenging walks like up inclines and through forest terrain are especially beneficial, and give your dog the chance to help pull you up and over obstacles, which can do a lot of build confidence and a bond. Never force your dog over obstacles, but rather gently encourage and use the harness to assist if necessary. Many breeds have done the important job of pulling people or goods. Pulling can wear out a powerful dog more quickly than other types of exercise, and it also functions to build a strong bond. 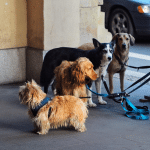 If you are comfortable on a bicycle or skilled in braking a skateboard or on rollerblades, and especially if eliminating pulling on your walks is challenging, you can try having your dog pull you on car-free paths. You can also have your dog pull a cart or help pull you up inclines. Just like many dogs love being in a car, most dogs also enjoy taking in the smells from a canoe or kayak. Water activities can be exceptionally fun for dogs, since being near the water heightens smells for your dog. In addition, the experience of balancing together can help to build and solidify a bond with your dog. If you and your rescue are real adventurers, you can try paddleboarding, boogie boarding, etc. Many dogs have been bred for the water, but even if your dog has no water-loving breeds in her genetic makeup, she can learn to love to swim. Dogs learn best in calm water with gradual inclines into the water so that they can gradually increase their immersion in the water. 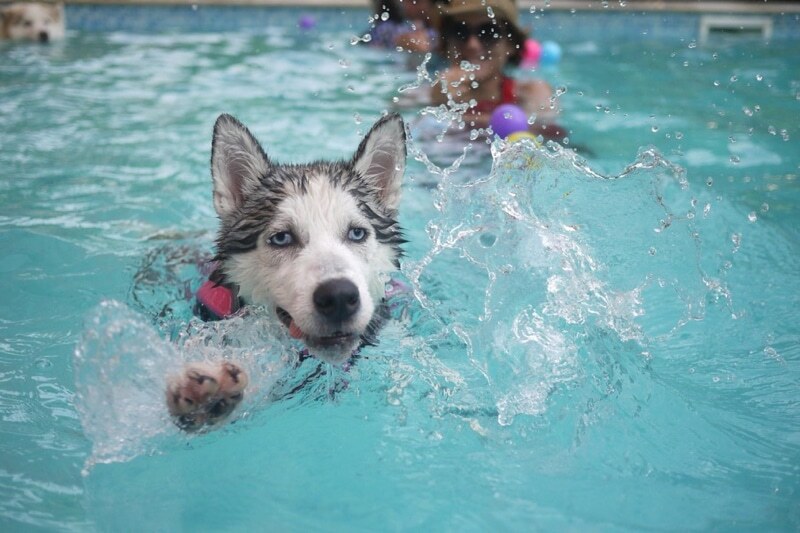 Water activities can be a perfect thing to do with your dog on a hot day. Make sure to keep a harness and leash on your dog so that you can maintain control and help as necessary. Just because your rescue dog might not be purebred doesn’t mean she won’t enjoy activities her ancestors were bred for. Breed activities are especially helpful for nervous or traumatized dogs that are having a hard time coming out of their shell. Sometimes doing what is instinctual can break through the learned fear. Terrier mixes may enjoy Earth Dog competition and hounds will love scent training. Sighthound mixes can find their calling in lure coursing. Powerful dogs can build confidence through protection training. 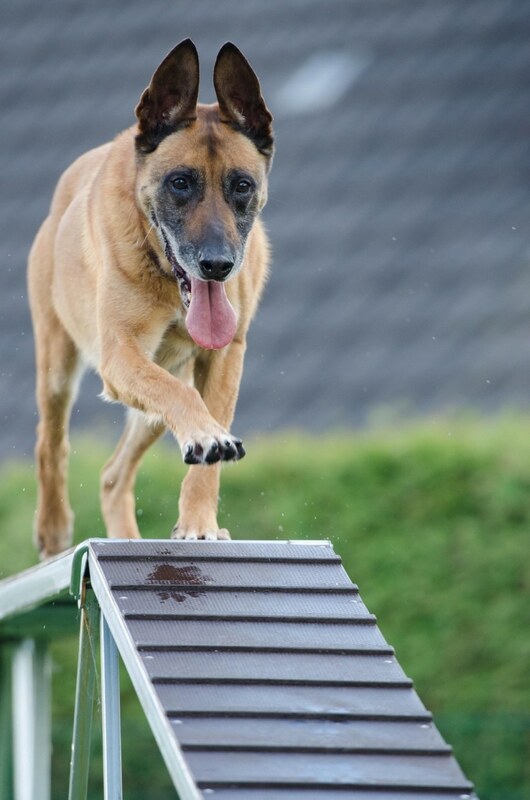 Almost any dog can enjoy competing in agility or a fun game like Disc Dogs. Water lovers, especially retrievers, will enjoy Dock Jumping. Finding an activity to enjoy with your rescue dog will help her find and act out her instincts, which can build confidence and prevent problem behavior. It also gives you and your dog an opportunity to socialize with other dogs and dog lovers who enjoy the same activity. Always use positive training techniques and never push your dog to do something she isn’t enthusiastic about doing. You don’t have to leave the house to expand your relationship with your dog. You can teach your dog fun tricks to entertain your family and friends and to build confidence in your dog by encouraging her to do what she is good at. Is your little rescue dog always jumping about on her hind legs? Put a command to this and teach her to do it in a circle and you are the beginning of a fun dance routine with your dog. Does your dog love to drag herself along the ground with her front paws? Teach “crawl” and you can make a fun little “army dog” skit. The ideas for fun trick training with your new dog are endless, just make sure you are choosing activities that will be fun for your dog. You can also teach your dog to help you out around the house, by rewarding her for gathering socks and laundry under the bed, finding shoes around the house, etc. This kind of training can make your smart rescue dog feel involved with your everyday life, which can reduce anxiety and boredom. Camping can be a great way to combine a lot of great new experiences with your dog at once. Make sure you bring a crate that your dog is familiar with and keep her in the tent or RV with you so she won’t be nervous. Traveling together can help solidify the bond between you and your dog, and experiencing new things together will allow your dog to reveal more of her personality to you as well. This is also a good opportunity for functional obedience training, which can feel more practical to many people and dogs that teaching tricks. Be sure to bring as many of your dog’s usual things a possible. 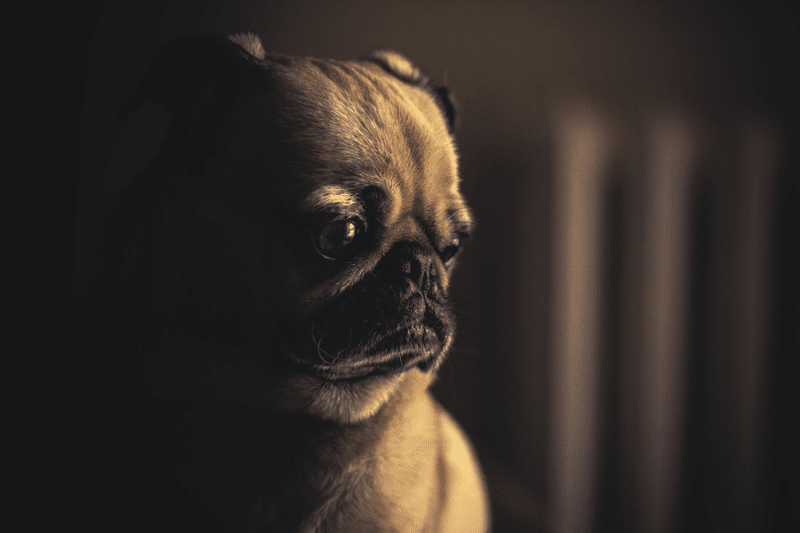 Your dog may be nervous about losing her home again, but as long as you make her see that you will be with her, this can be a beneficial, confidence building experience. 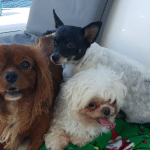 The dog park can be a fun place to go with your dog, as can arranged play dates with friends’ dogs or organized play sessions at a training facility or daycare. It is important that your new dog is socialized with other dogs, as well as with your family and pets. If your dog has had aggressive tendencies, you should go through muzzle training and desensitization before attempting interaction. 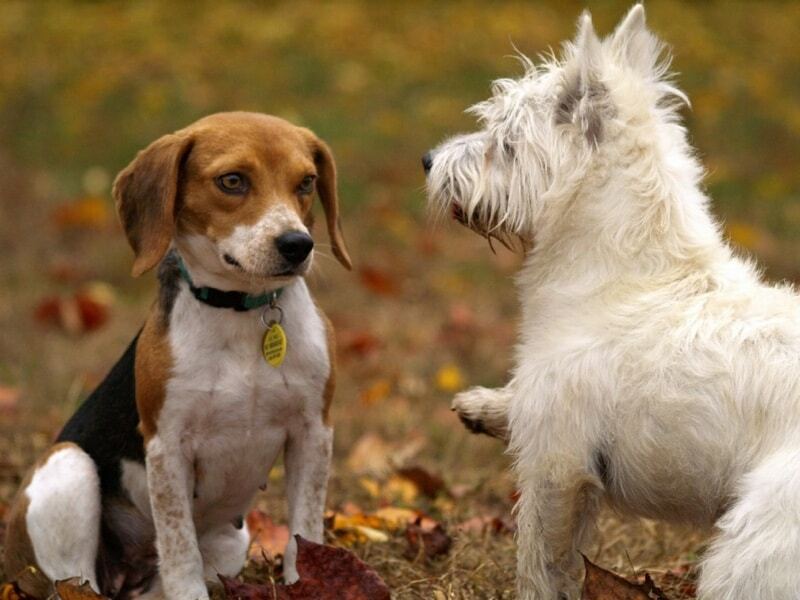 If your dog seems friendly with other dogs, still always watch her closely while she is socializing. 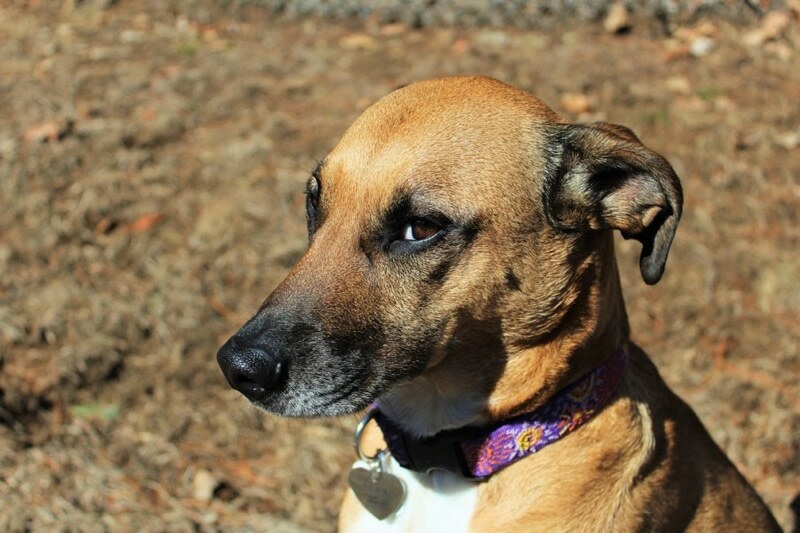 Some personalities don’t mesh unexpectedly, so you must always be alert to your dog’s signals. Furthermore, you can learn a lot about your dog by watching her socialize. Eliminate problem behaviors early when your dog is with other dogs so that any negative behaviors don’t have a chance to escalate. Rescuing your new best friend may not be the easiest way, but you can develop a deep and powerful bond as you overcome obstacles with your dog. While some problems are common with rescue dogs, they aren’t impossible to overcome. Look at the training process as an opportunity to build your bond with your dog and help her be the best dog she can be, and you will be amazed at the things you can do together.